​The 360 globe as it's name suggests can be spun in any direction courtesy of it's double axis. 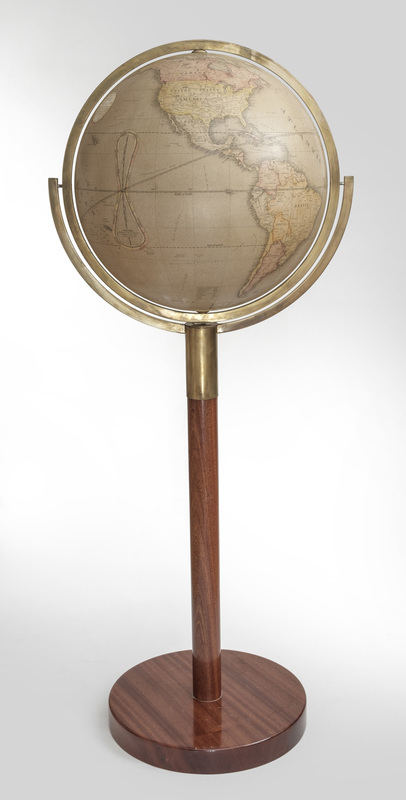 This allows full access to every inch of the globe and brings a different spin on the traditional way of viewing globes. 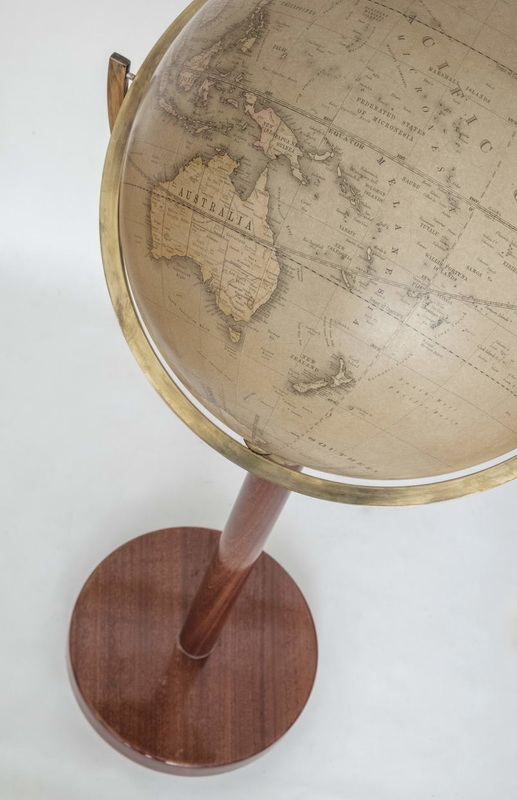 Fine balancing and weight distribution ensure the globe rests in an upright position ready for it's next spin. As with all of the globes in our collection it has been made by hand following traditional techniques and using exactly the same materials as have been employed in globemaking for centuries, helping keep alive skills that may otherwise die out. 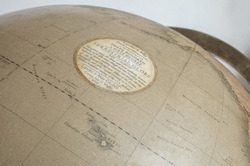 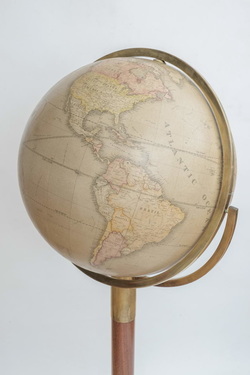 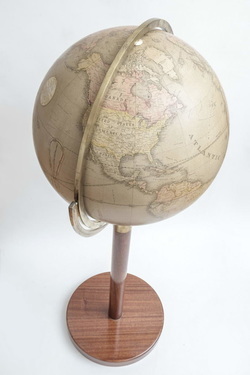 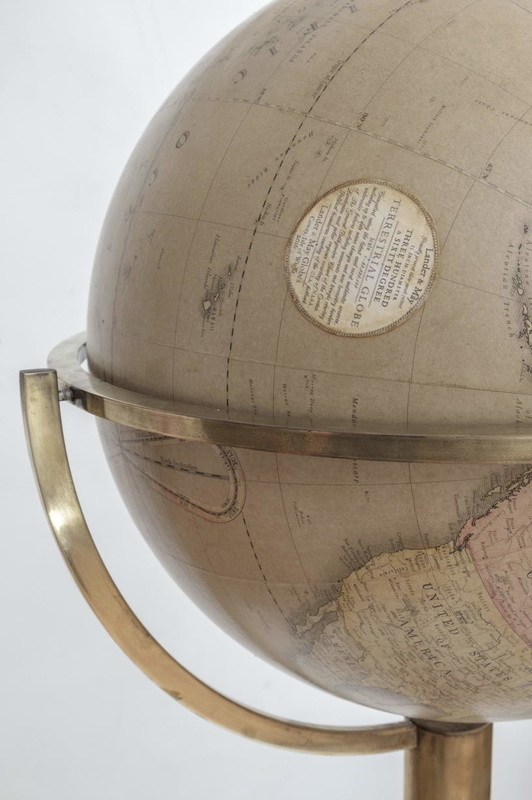 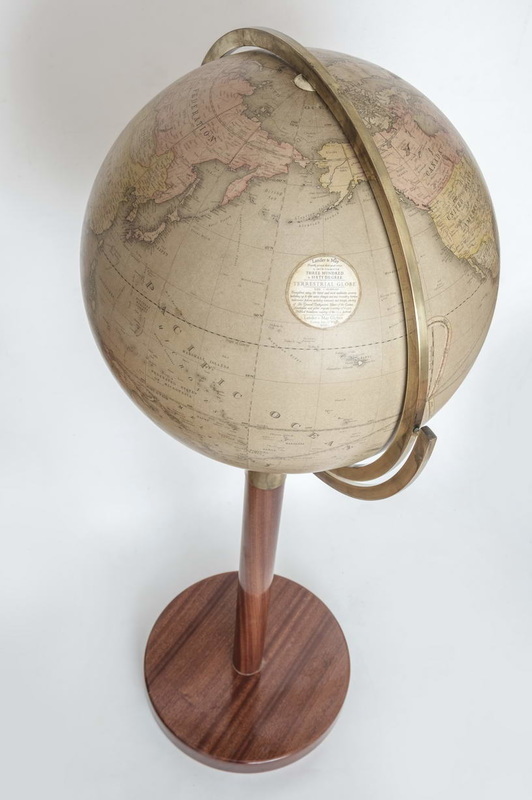 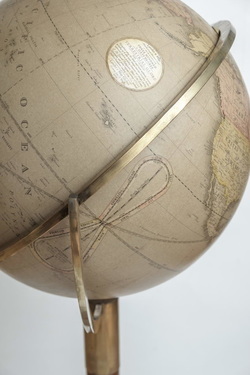 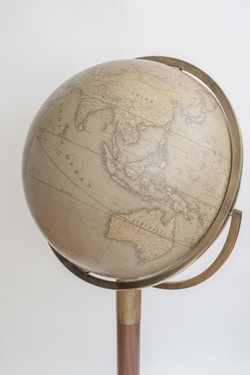 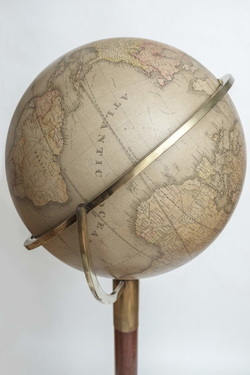 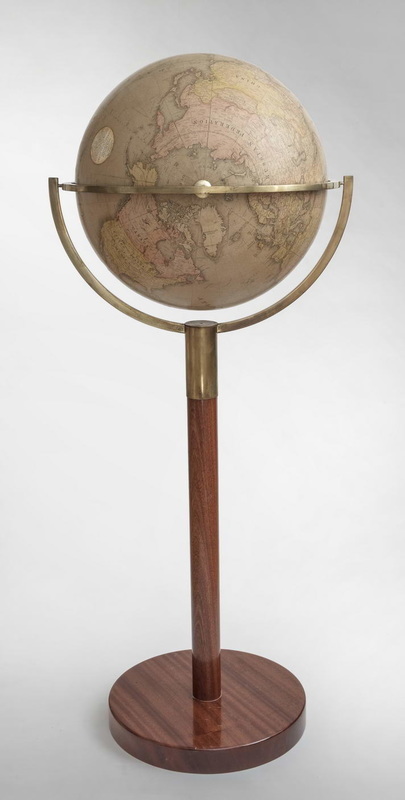 The globe is 15"(38cms) diameter and stands at 113cms . 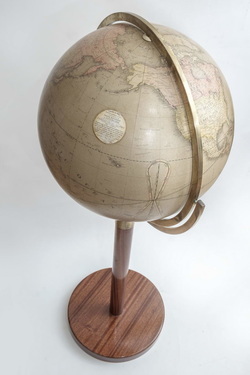 Plaster , papier mache, aged brass, turned wood base.